Last season, I wrote about the powerful symbiosis between Mourinho and the journalists who cover him: He feeds them explosive material for the back page, and they underplay the weaknesses exposed by Chelsea’s on-field setbacks. But Mourinho’s fat joke wasn’t part of some master plan to manipulate coverage; it was a desperate plea for attention, an immature, casually sexist temper tantrum. Chelsea, the defending champion, remains the bookmakers’ favorite to win the 2015/16 Premier League title. Mourinho has by far the strongest squad in the league: a perfect balance of youth and experience, solid backup in most positions, one of the best attacking midfielders on the planet. And yet this summer the English press has devoted countless column inches to Manchester United’s resurgence, Arsenal’s resurgence, and Liverpool’s probably futile plans to launch its own resurgence. Chelsea, which has conducted some clever business in recent months, has barely registered. 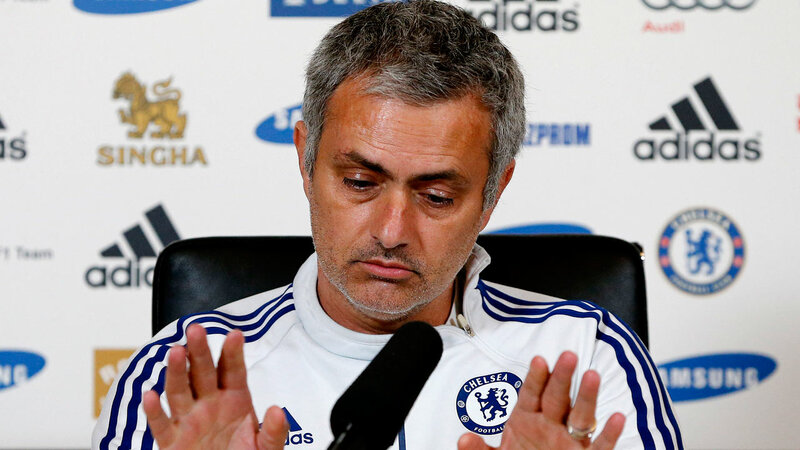 This state of affairs can be attributed partly to Mourinho’s evolution as a celebrity. He’s still one of the best coaches in European soccer, but he’s no longer one of the coolest. There’s nothing new or hip or exciting about the Special One. He’s no Jurgen Klopp, no Pep Guardiola. On Wednesday, the website 101 Great Goals posted an unflattering photograph of Mourinho, his potbelly straining against a much-too-tight training jersey. Mourinho started his first stint at Chelsea as a handsome, debonair charmer with a penchant for amusing yet utterly calculated one-liners. Over the last couple of seasons, he has gradually transformed into an aging, insecure curmudgeon, the Sam Allardyce of coaches who actually are “well-suited” to high-profile jobs. Mourinho will probably keep winning for the foreseeable future. But his old charisma, his effortless ability to mesmerize a room full of admiring English journalists, is starting to fade. He badly misread the tone of Monteserrat Benitez’s comments. The retaliatory joke wasn’t clever or witty; it was surpassingly stupid.